The first few days were filled with chatter about summer vacations, eagerness to reconnect with classmates and teachers, anxiousness to start a new school year but, most importantly, hope and excitement to start the year. As the days went by, I enjoyed walking into classrooms and finding students pick up right where they left off — just as they do every year. This year however, I was most impressed by a Primary School faculty member who, inspired by a nation-wide appeal, wanted to challenge her students to reach out and think of others before themselves. 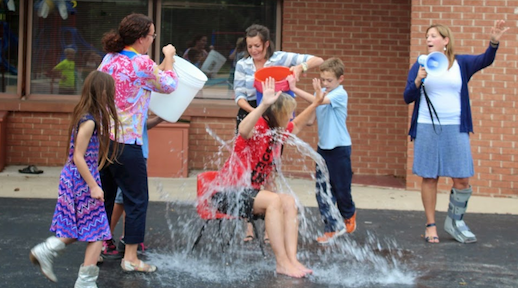 This summer, social media feeds were flooded with friends and family members completing the ALS Ice Bucket Challenge. This nation-wide appeal, now raising over $106 million, grabbed us all by surprise as friends and families members began to dump buckets of ice onto themselves in support of a very important organization. However, supporting this organization is so much more than creating awareness and raising money. And this important message served as a great teaching opportunity for our refreshed and eager learners. “The Primary School builds community through empathy and altruism…and celebrates each act with joy.” shares Chris Henke Mueller, Fourth Grade Teacher. Challenged to carry out good deeds amongst their peers, students filled classroom buckets with water as each good deed was completed. On Friday afternoon, classrooms came together to combine all buckets into one. The result: Primary School Head, Kathy Boero, took the challenge in honor of all the good deeds carried out by students during the week. 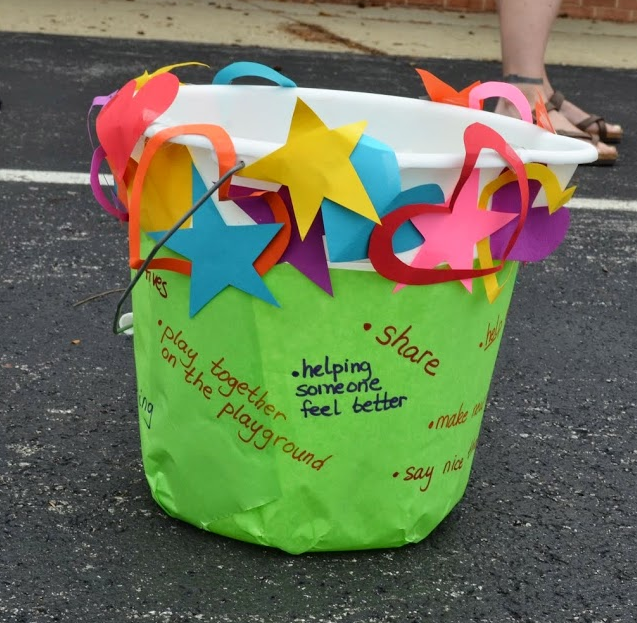 “These opening days of school have been filled with so many acts of kindness and so much fun; enough to fill two buckets!! I will be very happy to donate toward the ALS Foundation and to The Prairie School ~ a special place like no other!” shares Kathy Boero. What better way to kick off the new school year! I look forward to sharing the wonderful things that happen on campus day in and day out! This entry was posted in Featured, Learn More About Prairie, Primary School by Communications Department. Bookmark the permalink.